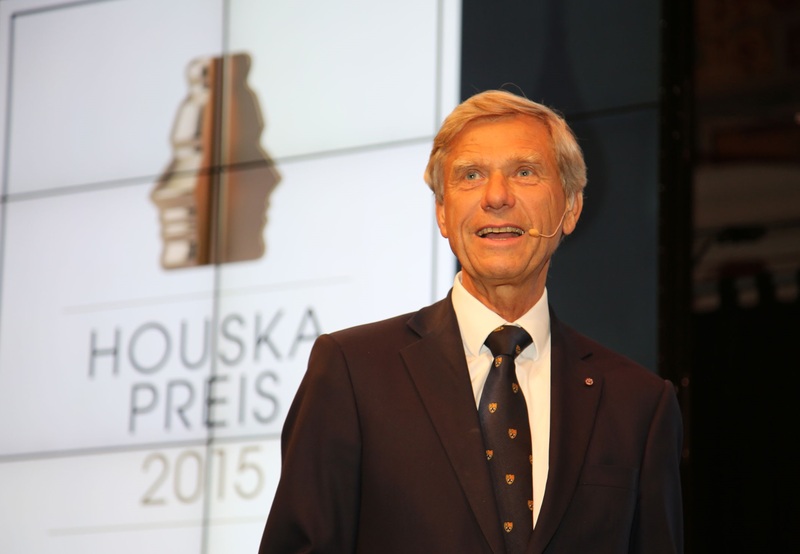 <h2>You are never going to have breakthrough ideas without risk – Dr Hermann Hauser</h2><br /><p><strong>A three-year EIC pilot was launched on 27 October. Can you give us the crux of what this entails?</strong></p> <p>‘The scaling-up process is our top problem in Europe, and you’ve got to start very early in the process, telling companies even as they start what the next step of the process will be so that they can get themselves ready for that.</p> <p>‘(The EIC pilot) will start with very early funding instruments to give researchers and small companies an opportunity to prototype their ideas and do feasibility studies, and then, when they grow into larger projects, to give them much more support in this second stage.&nbsp;Concretely, it brings together the parts of Horizon 2020 that provide funding, advice and networking opportunities for those at the cutting edge of innovation, such as the SME Instrument, the Fast Track to Innovation (FTI) and the Future and Emerging Technologies programme (FET Open). It is a first step towards a fully fledged EIC.’</p> <p><strong>What is the inspiration for the fully fledged EIC?</strong></p> <p>‘What we are trying to do with the EIC is to replicate the success of the European Research Council by ensuring that we support innovation in Europe in the same way that the European Research Council has supported research in Europe. If the pilot of the EIC is successful, as we very much hope it will be, we believe that we will be able to expand that substantially for the framework programme line (the EU's research funding programme) after 2020, where we do believe that the EIC must be a key pillar.’</p> <p><strong>You've recommended that, as with the European Research Council, the EIC focuses on excellence rather than political or geographical criteria. Is this about supporting the person rather than the idea?&nbsp;</strong></p> <p>‘I wouldn’t say that but, like the European Research Council, there is no condition on having multiple countries involved in the project. It can be single countries and it can also be single companies. There is an emphasis on the entrepreneur and the talented people, that’s right, but the quality of the idea is very important, too. For that reason, we are recommending to apply a bottom-up approach and to design the evaluation and selection of EIC Awards (the funding it allocates) in ways that promote excellence, enable risk taking and align interest with investors, in particular private ones.’</p> <p> <div class="quote-view quotesBlock quote_horizontal"> <div class="quotesTop"><img src="https://horizon-magazine.eu/sites/all/themes/horizon/images/quotes_top.png" alt="" title="" /></div> <p>‘Europe has a phenomenal reputation for world-class research, but our ability to make the best of our research in our economy is not as good as it is in America.’</p> <blockquote><p>Dr Hermann Hauser, Chair, European Innovation Council High Level Group</p></blockquote> <div class="quotesBottom"><img src="https://horizon-magazine.eu/sites/all/themes/horizon/images/quotes_bottom.png" alt="" title="" /></div> </div> </p> <p><strong>Are there any specific business sectors the EIC hopes to foster?</strong></p> <p>‘While we recommend to apply a bottom-up approach, (we plan on) supporting companies in the growth sectors that everybody now recognises, which of course has to do with areas like machine learning, genetics and all the big themes that people are excited about.</p> <p>‘EU financial support under the EIC will be targeted to single start-ups, SMEs (small- and medium-sized enterprises) and mid-caps (companies employing between 250 and 3 000 people) carrying out breakthrough market-creating innovation. It will also involve large companies that are actually very keen to work together with innovative small companies because they have an innovation deficit themselves. They now acknowledge that closer collaboration with small, innovative companies can help them a lot, and the small companies can also benefit wonderfully from the distribution power of these larger companies.’</p> <p><strong>And also a focus on high-risk projects, which is not so traditional in Europe? </strong></p> <p>‘We’re willing to take on these high-risk projects, as you are never going to make fundamental changes and have breakthrough ideas without risk. For this, it’s all of the exciting areas that, of course, everybody talks about,&nbsp;such as machine learning and AI, blockchain and smart contracts, synthetic biology and genetics — all of the ones that are high risk but also very high reward.’</p> <p>&nbsp;</p> <p><strong>Could you give us an example of what success would look like for an SME under the pilot? </strong></p> <p>‘There have been a number of very successful supporting actions in the past. For example, our most successful company in the UK, ARM, the Advanced RISC Machine microprocessor, that was sold for (EUR) 30 billion last year, benefitted enormously from the Open Microprocessor Initiative of the European Union. That’s a great success story that we want to emulate, where at the very early stage of the development of that microprocessor the EU was willing to valorise that microprocessor right across Europe, introduce people to a new architecture and it’s now doing very well, with 95 percent of the phones in the world now using ARM processors.’</p> <p><strong>The EIC gathers together the support aimed at SMEs under the Horizon 2020 funding programme. Why?</strong></p> <p>‘It’s very important that we’re simplifying the way we’re supporting European innovation, simplifying it for the companies that are involved but also for the universities that are interested in spinning out their research. As you know, Europe has a phenomenal reputation for world-class research, but our ability to make the best of our research in our economy is not as good as it is in America and that’s what the EIC is trying to address.’</p> <p><strong>Apart from financial support, you've recommended that the EU helps innovators to overcome regulatory barriers. Is this often a sticking point for Europe's entrepreneurs?</strong></p> <p>‘Yes it is, and it is increasingly important as a number of new technologies, especially say blockchain and smart contracts, require regulators to move forward. Or, for example, autonomous driving, which is very important&nbsp;— we need the freedom to experiment with autonomous vehicles in different situations, of course always putting safety first, but we need regulatory agility. So we need to have room for experimentation and we need to have room for introducing regulation carefully.’</p> <p><strong>You mentioned support services for companies — will the EIC provide services akin to incubators and accelerators?</strong></p> <p>‘The EIC will not set up incubators itself but will be supportive of the incubators and accelerators which exist across Europe already. Fortunately, we already have a large number of them and we can share best practice between them so that they become more efficient. So it’s about directing participants by telling them what facilities are available and also giving the financial support they need in order to try out their new ideas and turn them into spin-outs or licensed opportunities for large companies.</p> <p>‘Innovation is a team sport, so we will need the government, small companies and large companies to work together with investors —&nbsp;such as the venture capital community —&nbsp;to make it work.’</p> <p><a href="http://bit.ly/newsalertsignup"><img class="" src="https://horizon-magazine.eu/sites/default/files/news-alert-final.jpg" alt="" width="983" height="222" /></a></p> <p><strong>The vast majority of applicants to Horizon 2020’s previous FTI programme didn’t fit into the set categories provided for this. Is the EIC pilot taking a more open approach to innovation?</strong></p> <p>‘Yes, it will be very much a bottom-up process where we will listen to the requirements that people have and we will forge our support infrastructure to do the right thing by these companies. If you look at the composition of the high-level advisory board of the EIC, it is all people who have had direct experience of high-tech companies, either by starting these companies themselves, or being very closely associated with them through venture capital.’</p> <p><em>If you liked this article, please consider sharing it on social media.</em></p> <br /> <img src=”http://www.google-analytics.com/collect?v=1&tid=UA-40077089-1&cid=you-are-never-going-to-have-breakthrough-ideas-without-risk-–-dr-hermann-hauser&t=event&ec=republish&ea=read&el=you-are-never-going-to-have-breakthrough-ideas-without-risk-–-dr-hermann-hauser&cs=republish&cm=republish&cn=republish&cm1=1" /> This post <a href="https://horizon-magazine.eu/article/you-are-never-going-have-breakthrough-ideas-without-risk-dr-hermann-hauser.html">You are never going to have breakthrough ideas without risk – Dr Hermann Hauser</a> was originally published on <a href="https://horizon-magazine.eu/">Horizon: the EU Research &amp; Innovation magazine | European Commission</a>. High-risk, high-reward ideas in areas such as artificial intelligence (AI), blockchain and synthetic biology are typical contenders for support from the EU’s new European Innovation Council (EIC), which aims to help European innovators and entrepreneurs scale up their ideas internationally, according to Dr Hermann Hauser, serial entrepreneur, who is a founding partner of Amadeus Capital and founder of ARM in the UK. He heads up the EIC advisory board, which on 20 November published their first set of recommendations for the future direction of the EIC. A three-year EIC pilot was launched on 27 October. Can you give us the crux of what this entails? ‘The scaling-up process is our top problem in Europe, and you’ve got to start very early in the process, telling companies even as they start what the next step of the process will be so that they can get themselves ready for that. What is the inspiration for the fully fledged EIC? You've recommended that, as with the European Research Council, the EIC focuses on excellence rather than political or geographical criteria. Is this about supporting the person rather than the idea? Are there any specific business sectors the EIC hopes to foster? ‘While we recommend to apply a bottom-up approach, (we plan on) supporting companies in the growth sectors that everybody now recognises, which of course has to do with areas like machine learning, genetics and all the big themes that people are excited about. And also a focus on high-risk projects, which is not so traditional in Europe? Could you give us an example of what success would look like for an SME under the pilot? The EIC gathers together the support aimed at SMEs under the Horizon 2020 funding programme. Why? Apart from financial support, you've recommended that the EU helps innovators to overcome regulatory barriers. Is this often a sticking point for Europe's entrepreneurs? You mentioned support services for companies — will the EIC provide services akin to incubators and accelerators? ‘The EIC will not set up incubators itself but will be supportive of the incubators and accelerators which exist across Europe already. Fortunately, we already have a large number of them and we can share best practice between them so that they become more efficient. So it’s about directing participants by telling them what facilities are available and also giving the financial support they need in order to try out their new ideas and turn them into spin-outs or licensed opportunities for large companies. The vast majority of applicants to Horizon 2020’s previous FTI programme didn’t fit into the set categories provided for this. Is the EIC pilot taking a more open approach to innovation?